We are quickly approaching the season highlight. Use the next two and a half weeks to enjoy the wind in your hair on a few final relaxed training rides – with a helmet on, of course! 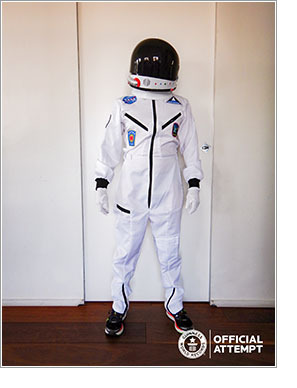 Remember, helmets are required at the BMW BERLIN-MARATHON! As usual, the Inline Village at the Expo BERLIN VITAL will open up two days before the race. 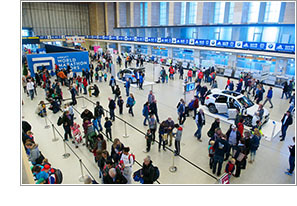 The entire inline scene will get together starting on September 13 at former airport Tempelhof. There will be plenty going on over the marathon weekend to. Come see for yourself – we’ll be sharing all of the important dates, promotions, and activities with you in the coming weeks. 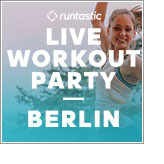 Have fun in your final phase of preparation – and we’ll see you in Berlin! Race numbers must be picked up by each individual skater; group pick-ups are not possible, and power of attorneys are not accepted either. The start card is required, as well as a photo ID (personal ID, passport, driver’s licence) for pick-up. Every participant will receive a wristband, which you will need in order to enter the start area and must wear until you have exited the finish area. 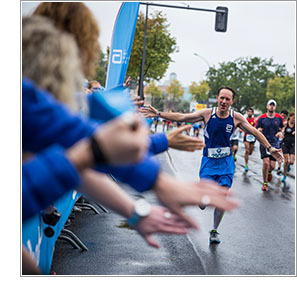 The durable, comfortable material also makes the wristband a great souvenir of the 2018 BMW BERLIN-MARATHON. Exchanging bib numbers is not allowed and will lead to disqualification. As experience shows, many participants, especially those from out of town, come on Saturday between 11 am and 2 pm to pick up their race materials. If you are local or already in town, please pick up your race kit on Thursday or Friday. 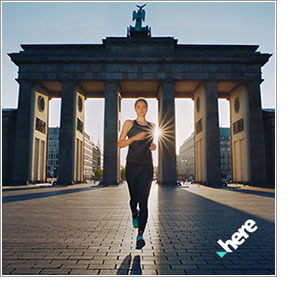 Otherwise, plan on longer queues if you come to the Sport and Health Expo BERLIN VITAL on Saturday. The bib number pick-up for inline skaters closes on Saturday at noon. You will receive a clear plastic bag and a sticker with your bib number to mark your bag for the clothing drop-off. No backpacks, suitcases or other bags are allowed in the start area. ONLY the clothing drop-off bag above is allowed. Any bags left unaccompanied at the venue will be quickly removed. Please note that there are only three entrances to the pre-start area at the Reichstag lawn (access from the east, north and west). 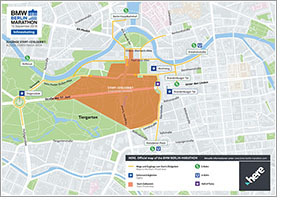 The event venue will be fenced off extensively, so please take note of the venue map: “Entrance to start area”. Visit the Rollerblade booth at the Expo BERLIN VITAL. 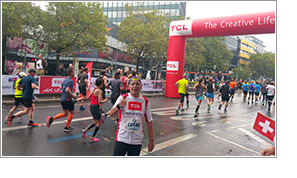 With the 5 Euro voucher on your bib number you can profit from great offers. 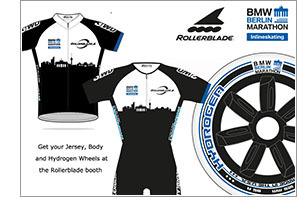 Hydrogen Wheels, Twincam Bearings and Rollerblade clothing. We are looking forward to your visit, and are happy to help you with any advice. The hot phase of the competition preparation begins, today there are exactly 16 days until you hear the starting shot and the race finally starts. 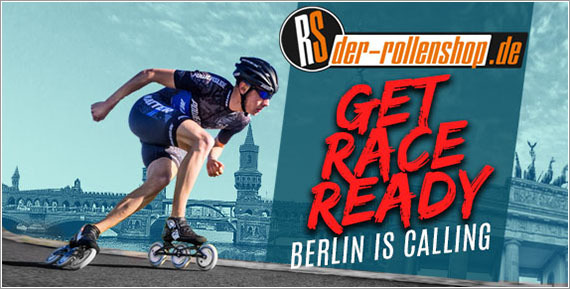 So that not only you, but also your skates are in top condition, we have put together selected racing material in our BERLIN category for you. With our Discount code you save an additional 10% on these selected items. 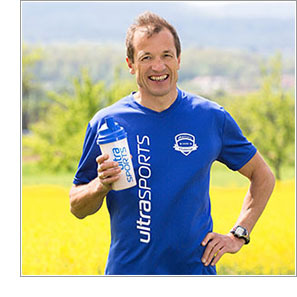 This discount can also be combined with existing discounts (club, advertising and training partner discounts). We see us in berlin!